The final round of our video contest is here! The top six dog agility stories as voted by you are now in the Grand Finale, competing for THREE winning spots. Our generous sponsors have donated prizes to the top three winners chosen by you. Plus, we are drawing a further two prize winners at random from all our entries, so in total we have five winners. A big thank you to our amazing sponsors! Watch the six videos below and honour your two favourites with your vote! (Remember: as you are voting, you must select both at the same time before you click the “vote” button, as you can only submit your vote once). Voting will stay open until midnight Sunday, February 03, 2019 (Pacific Time), and we will announce all the winners on Monday. The top three stories that you choose, and two additional contestants chosen at random from all the videos submitted, will EACH receive a gift pack including the SIX amazing prizes listed below. Shout out to our Sponsors for these fabulous prizes! This fabulous gift pack features your very own Milker Tug, Rasberry Tug and Fur Treat Tug all with special H360 webbing, plus a “Notes and Ah Ha Moments” notebook. 4MyMerles have you covered with their wonderful creations and quality homemade and retail products for all your training and competing needs. Many of the toys and leashes you see Susan use are from the fantastic team at 4MyMerles. For over a decade our Crate Games DVD has been easily accessible to everyone, but as technology moved on we have had more and more requests to have Crate Games available as an online resource. We listened! We have put the complete DVD including all chapters with a few special PDF’s into this easy to use ONLINE format. 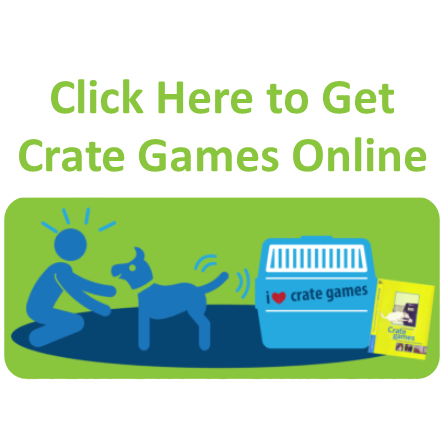 Crate Games is extensively used and recommended by dog trainers and professional dog care providers around the globe, and with Crate Games Online you can have ​immediate access to the step-by-step training that is as easy as it is effective. We love our FitPAWS gear here at Say Yes and know that you will too! This prize features four Anti-Skid Paw Pods – the same Paw Pods we know and love, but now with an anit-skid base. How cool is that! Paw Pods are brilliant for shaping games and body awareness. The sky is the limit for what you can do with FitPAWS Paw Pods. PLUS, FitPAWS has a discount code for everyone in our community! Use the code 18A-AMBSG on the FitPAWS website for up to 15% off (does not apply for sale or discounted items or third party products). Susan5 …. $5 off any order with no minimum. Susan10 …. $10 off any order of $100 or more. K9 Fitness Solutions provides online classes and education on canine fitness to help you meet your goals for your K9 athlete. The programs and membership site focus on proper form, with safe and effective progression in fitness training. The winners will receive access to the popular Improved Precision for K9 Sports and K9 Sports Strengthening 30-day programs. The courses provides 30 lessons designed to improve focus and precision through body awareness exercises and increased full body strength through resistance training. The winners will also receive a free trial subscription in the membership site, with access to growing resources to guide your dog to the level of fitness needed for your canine sport. Vote for your favourite two stories below! Make sure to scroll to the bottom of the page to select your two favourite videos in the Grand Finale round. Voting Is Now Closed, Thank You! Thank you for voting and for you fabulous support of everyone in our Grand Finale! Click here for our Winners Announcement, including the two surprise winners drawn at random from all the great entries! If you have just checked into the contest, you can still watch the videos in Round One, Round Two and Round Three… each is definitely worth visiting. 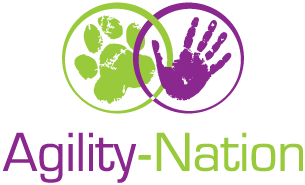 If you are inspired to raise the level of success and fun in agility for you and your dog… there is going to be education, inspiration and a lot of laughing in our first ever Dog Agility Board Game and it’s all free online! You can jump into our free Facebook group to join in with everyone playing. Today I am grateful for the dogs in our lives… each dog brings new learning opportunities for us. Hayven Dzus on How Do I Train My Dog To Come When Called? Jenny Ahearn on How Do I Train My Dog To Come When Called?